In your diving career have you ever had the chance to go over a drop-off and float into the abyss, but just as you are taking it all in your computer starts beeping to tell you to make your way up? When the drop-off starts at 100ft that does not leave you much bottom time to enjoy the beauty. Bloody Bay Wall in Little Cayman has a drop-off that begins at a shallow depth of 22 to 33ft, dropping off into a 6,000ft vertical cliff. This wall is so vertical that you feel like a skydiver hanging in space. The visibility is so clear that you can see the wall 200 feet to the left, to right and directly below. One of the most prominent features is the unrivaled vista of exotic sponges and sea fans growing amongst the bountiful coral wall. Bloody Bay Wall is also home to thousands of mobile creatures, some seeking the wall’s excellent protection from predators, and others searching its shelters for prey. Tiny shrimp, brittle stars, Christmas tree worms, lobsters, sea cucumbers, moray eels, and countless varieties of small brilliantly colored fish coexist in timeless balance. 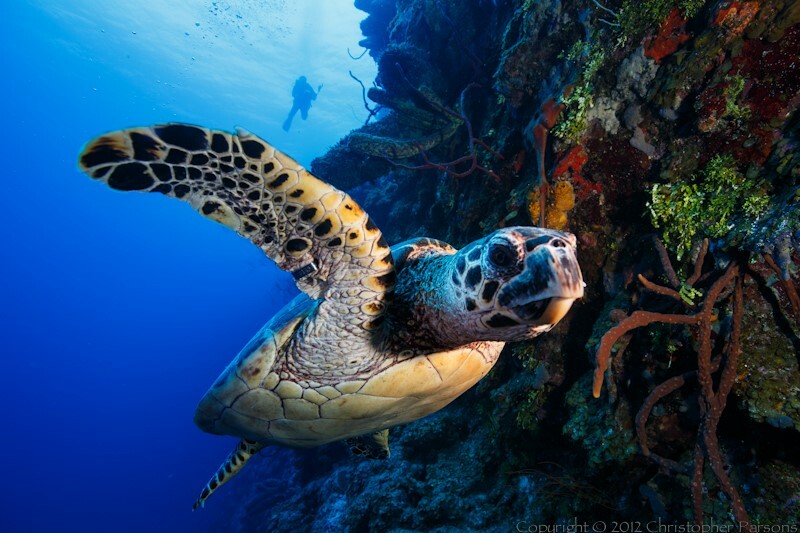 Turtles, stingrays, eagle rays, barracudas, groupers and sharks are often found swimming nearby. A string of more than a dozen dive sites run along the edge of the wall, paralleling the shoreline. 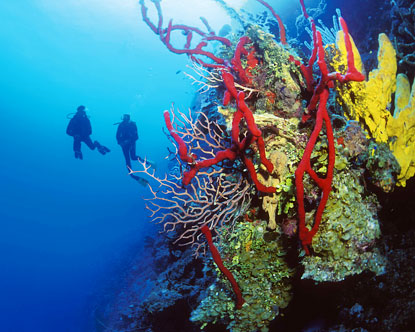 Bloody Bay Wall and Little Cayman's diving is suited for any level of diver, from beginner to veteran diver.